Two recent graduates of the TAA Education Foundation’s Apartment Professional Program earned recognition in the association’s statewide professional awards competition this year. 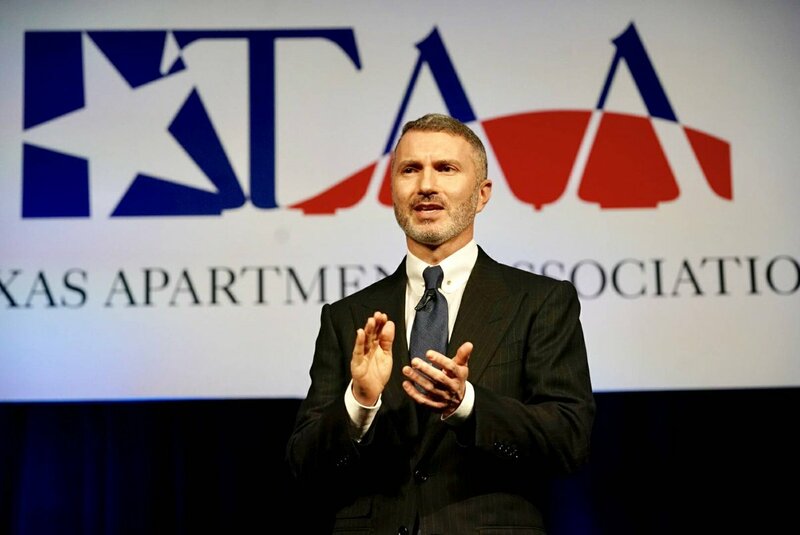 Recent graduates of the Texas Apartment Association Education Foundation’s Apartment Professional Program are already earning accolades and achieving notable career success. Learn more about Ricardo Lopez-Reyna and Courtland Audain, APP program grads and nominees for TAA’s Mary Williams Maintenance Professional of the Year Award this year. The Texas Apartment Association Education Foundation’s Room to Grow website includes a number of resources to help Texans learn more about careers in the rental housing industry in our state. Courtland Audain and Ricardo Lopez-Reyna, were both nominated for the Texas Apartment Association’s Mary Williams Maintenance Technician of the Year award this year. What makes them different from the other deserving nominees? Both Audain and Lopez-Reyna are graduates of the Apartment Professionals Program (APP) for maintenance, a training initiative developed by the Texas Apartment Association Education Foundation (TAAEF) in partnership with Goodwill Industries and local apartment associations. Lopez-Reyna is a graduate of the first APP class ever held in Spring 2014. He has his CAMT, EPA Universal and CPO and is Lead Maintenance Supervisor at The Paddock at Norwood, managed by Capstone. A TAAEF Room to Grow careers awareness campaign ambassador, Lopez-Reyna was quickly promoted within his company while keeping things in good shape not only at his property but at a sister property out of town as well. He is active in the Austin Apartment Association and shares the benefits of being involved with his co-workers and other maintenance staff he meets. As a Room to Grow Ambassador, Lopez-Reyna shares his story with other Texans to educate them about the opportunities in the apartment industry. He credits his success to having a positive attitude and being happy to come to work every day. Although Lopez-Reyna is not the TAA award winner this year, we know that he will continue to excel within his company, association and in this industry. Learn more about Ricardo’s story here. Courtland Audain, the recipient of the 2019 Mary Williams Maintenance Professional of the Year Award, has his CAMT, CPO, Universal EPA and works with Rainier Properties in Austin. He is the Assistant Lead Maintenance Professional at the Abbey Road Apartments. In 2018, he handled 30 apartment turns, including 12 full renovations, while his team averages completing 45 maintenance requests a month. Since graduating from the APP in May 2015, Audain has become active in the Austin Apartment Association, teaching maintenance courses for the association and for a program at Austin Community College. He also regularly serves as a guest speaker for the APP maintenance classes in Austin. Audain was an instructor for the Building Maintenance Program with Austin Community College, and has served as a guest speaker and teacher for future apartment maintenance professionals classes in Austin. He has continued to work closely with TAAEF to share his experiences and journey in the apartment industry. Learn more and hear his story. TAAEF is so proud of both men and encourages you to learn more about the Foundation and the Apartment Professionals Program. Please visit www.taaef.org. Log in to view members only content.